So, what does a graduate of Freedom Christian Academy (FCA) look like? To articulate this goal, we have developed the portrait of a student who completes their education at FCA and we call these our Expected Student Outcomes. These outcomes are based on the four pillars that make up our educational goals. Our goal is to graduate students who are equipped with a scholarship, inspired by discipleship, motivated to citizenship, and prepared for servant leadership. As an academic institution, it is our responsibility to educate students well. Learning should include a thorough teaching of core content and the skills to learn more through a Biblical lens. Students should be equipped with 21st Century fluencies, able to think critically, work collaboratively, engage in discovery and investigation, and think globally. Students will utilize a variety of resources, including technology and thoughtful questioning, to evaluate information for effective problem-solving. Students will display respect for the preparation and process for all God-given vocational and professional callings. utilize a variety of resources, including technology, to evaluate information. demonstrate the ability to develop thoughtful questions in the pursuit of problem-solving and decision-making. demonstrate the ability to use Biblical truth to analyze and evaluate information and concepts to determine validity. evidence responsible stewardship concerning the academic talents and opportunities given by God. take a logical, scholarly, and responsible approach to discovery and investigation of God’s creation. As a Christian institution, we have the responsibility to train students to develop a spirit of servant-leadership. 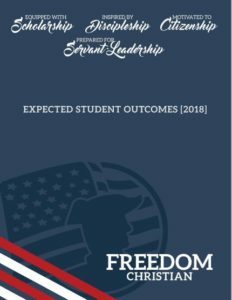 Freedom Christian Academy seeks to instill in students a Biblical view of servant-leadership with a clear focus on service in all aspects of life. Students will identify and understand the inherent tension between egotistical individualism and servant-leadership. Students will apply the spiritual principle of “washing the feet of others,” as modeled by Jesus Christ. accurately identify the characteristics of servant-leadership. positively contribute to collaborative activities through servant-leadership. demonstrate a commitment to bring their behavior into conformity with the pattern of servant-leadership as modeled by Jesus Christ. As a Christian institution, it is our responsibility to disciple our students to become dedicated followers of Jesus. Students demonstrate discipleship in transferring learned Biblical principles by engaging in a practical outpouring of those principles in authentic ways. Students will acquire, understand, internalize, demonstrate, and articulate Biblical principles and lead others into a relationship with Jesus Christ, consistent with the instruction of the Great Commission. evidence discipleship in their lives individually and demonstrate the ability to impact others. utilize a variety of Biblical principles when interacting with others in their sphere of influence. evaluate problems considering Biblical principles and use Scripture in offering solutions to peers to solve problems. engage in community activities within the school community and then broader communities. understand the need to engage their community and take responsible Christian positions regarding social and political issues.  evidence an attitude of responsible stewardship toward life, time, and service.